Dearest bloggersons, I'm so sorry but I have to leave you for a bit. It's not you, it's me. I'm feeling adrift and need to focus on some other things. Something's gotta give and I'm afraid it's this little space. I will miss you all terribly. You'll still find me bleating now and then on Twitter, but this little patch will likely lie fallow for a few weeks. 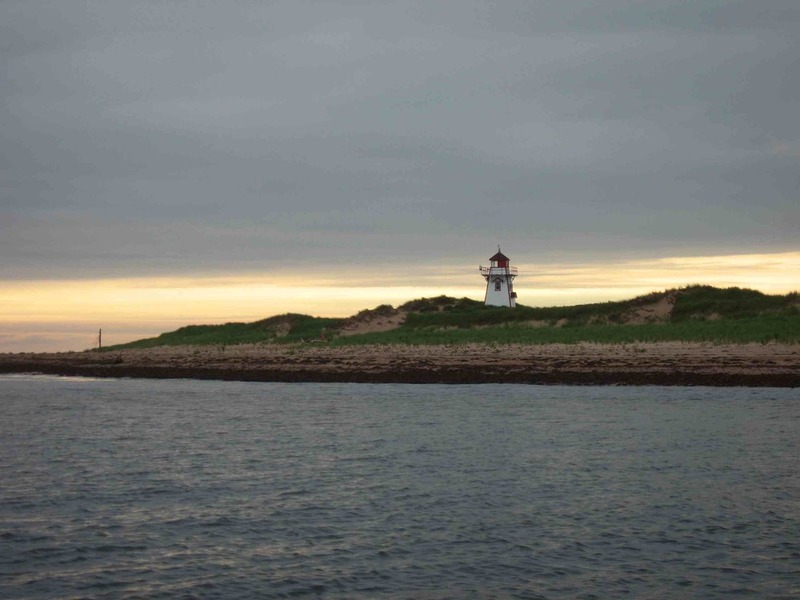 And speaking of a few weeks, in early Aug I'll be heading to Prince Edward Island for family time and vacation. That will be the light at the end of my current tunnel. I took the above photo there. Don't you love the mystical feel -- the moody greys cut by a lone happy yellow sailboat. I was so struck by the scene that I asked hubs to stop the car so that I could get out and take this shot.